Building upon the well-deserved hype of the original Bronson (1.0), the Santa Cruz Bicycles Bronson 2.0 A R Complete Mountain Bike boasts a completely new VPP® link arrangement that enhances lateral stiffness, better small bump sensitivity, and a more progressive mid-stroke. A refined geometry also yields a one-degree slacker 66° head tube angle and a shorter chainstay for an even more rally-ready rig! The tried and true durability of this bike's aluminum frame is built out with quickly-adapted Fox front/rear suspension, SRAM NX drivetrain components, and an RockShox Reverb remote-actuated dropper seatpost. 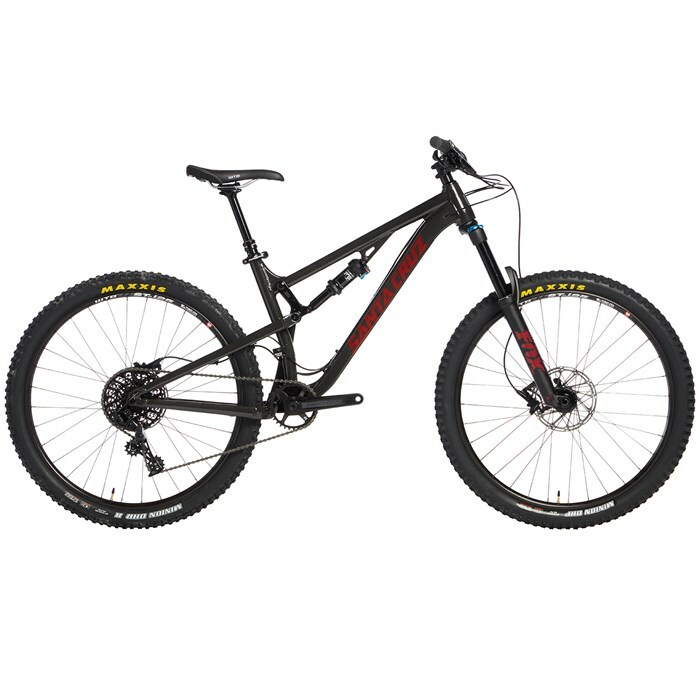 An aggressively skewed and widely capable all-mountain rig doesn't need to cost as much as a new car, and the Santa Cruz Bicycles Bronson 2.0 A R Complete Mountain Bike proves it! Fox 34 Rhythm Fork  Rhythm forks feature 6000 series aluminum upper tubes along with the FIT GRIP damper. Race Face Æffect Crankset  The Æffect crankset is designed to handle aggressive trail riding at a XC crank weight and attractive pricepoint. Featuring the Cinch System with its interchangeable spider options and Race Face's trusted 24mm EXI interface spindle, the Æffect is a rock solid crankset for today's XC and trail riders. SRAM XG1150 CS 10-42T Cassette  FULL PIN™ technology uses eleven lightweight, stamped steel cogs held together with 123 high-strength stainless steel pins. The result: a cassette that’s light, durable and equipped with SRAM’s super wide 10-42t gear range that’s a perfect fit for any ride. The open design similar to our X-DOME™ cassette aids in mud clearance, giving you cleaner shifting performance and longer component life. Race Face Æffect Dropper Seatpost  A budget friendly but rock solid option for riders wanting to enter the dropper market. A sealed damping system wrapped in 7075 aluminum makes for a lightweight dropper that can take the hits. Internal cable routing compatible for modern frame design.